Bollywood star Shah Rukh Khan has been summoned for the third time by the Enforcement Directorate for the ongoing investigation related to his IPL team. SRK who owns shares of Kolkata Knight Riders (KKR) has been sent a notice for the third time, as questioning the actor is necessary to carry on the investigation further according to the ED officials. However SRK’s spokesperson has denied getting any such summon notice. 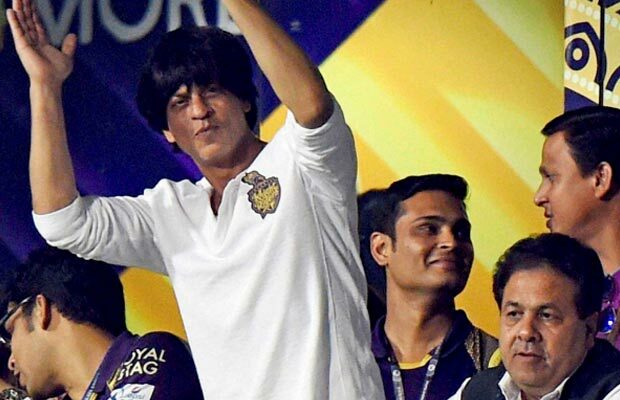 As per the investigation done by Enforcement Directorate, Shah Rukh Khan‘s IPL company the Knight Riders Sports Pvt. Ltd has broken norms under the FEMA act by undervaluing company’s shares during a deal. SRK apparently sold his shares for a lot lesser price to Jay Mehta’s company named Sea Island Investments Ltd. The actor had earlier been summoned for the same in November 2011, after which he skipped the second summoning. Also Read: Shah Rukh Khan Breaks His Silence On Dilwale And Deepika Padukone’s Bajirao Mastani Clash! According to the third summon, Shah Rukh Khan has to be present at the Mumbai ED office in the first week of November. In the earlier investigation, it was noted that KRSPL has allotted about 50 lakh shares to SIIL at a value far less from its original price. SRK had apparently transferred his shares to Jay Mehta and Juhi Chawla at a price of Rs. 10 per share when actually the cost had to be around Rs. 70-99 per share. Thus, the company is now facing an investigation by ED who believe that they have broken laws under the Foreign Exchange Management Act by undervaluing their shares during transfer. Shah Rukh Khan who is currently busy with back to back shootings in Mumbai and Hyderabad has not given any statements regarding the same and now only time will tell if the actor will be present for this third summoning by the Enforcement Directorate in November first week before Diwali. Also Read: Exclusive Bigg Boss 9 With Salman Khan: Guess Who Is Leading Between Prince And Suyyash! Also Read: Bigg Boss 9 With Salman Khan: Bonding Breaks, Kishwer- Suyyash- And Prince’s Ugly Argument! Previous articleAamir Khan Manages To Buy Daughter Ira’s Painting!